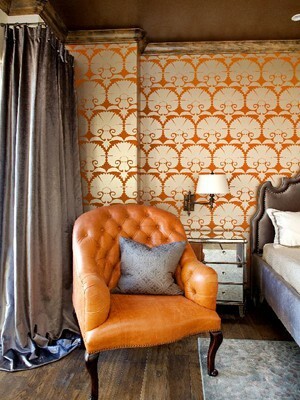 This great orange tufted chair blends wonderfully with the orange and gold wallpaper. I am so in love with the glamourous velvet for the headboard, accent pillow and curtains. Don't be afraid to be bold with colours and fabrics in the bedroom!